Halloween will be here before you know it. For many people, Halloween is one of the most fun holidays for decorating. While pumpkins, skeletons, and bats are staples of Halloween, there is one element that often goes overlooked: lighting. 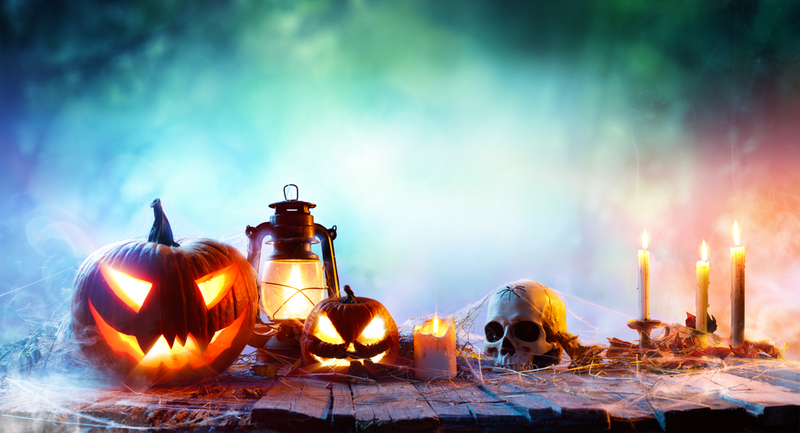 Lighting can take a great Halloween set-up and turn it into an amazing display. 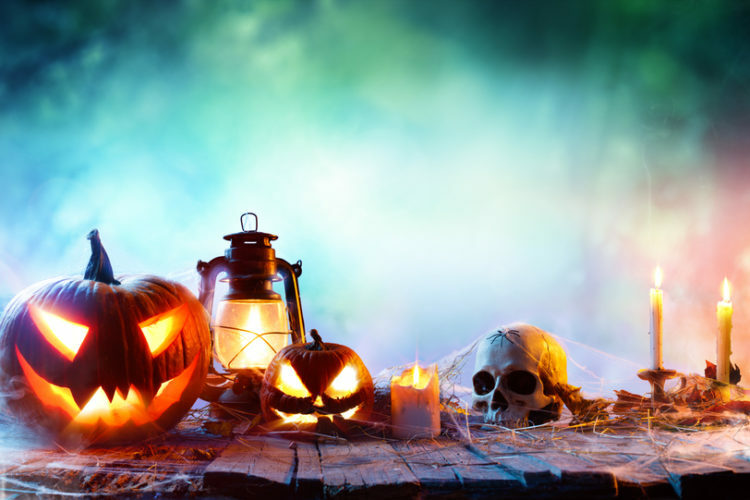 These four Halloween lighting ideas are just the thing to bring your decorations to life this October. Lighting fixtures outside your home and on decks, garages, or sheds can be a great opportunity for decoration. Cut out the back of a plastic jack-o-lantern so it fits over your outdoor light fixture. Once it is placed over the fixture, the light will glow through the plastic jack-o-lantern for fun and spooky, pumpkin lighting! Similar to the outdoor light jack-o-lanterns, this idea turns outdoor pathway lighting into festive decorations. Like the jack-o-lanterns, cut the back or bottom out of plastic skulls and put them on top of your pathway lights. When it gets dark, your path will be lined with illuminated skulls. A few subtle decorations indoors can go a long way to create a fun Halloween atmosphere. One idea is to use a wispy net to cover the bathroom light fixture. This will dramatize the glow from the light and give you that spooky Halloween feel. Chandeliers generally go well with Halloween decorations. Adding some wispy spider webs can really tie them in with the rest of your theme. When adding spider webs or similar decorations to any chandelier or light fixtures, be careful not to put the material directly on any light bulbs or on the fixture in such a way as to create a fire hazard. Creative lighting can completely change your Halloween decorations. In most cases, you can use your existing lights to complement your decorations. In the event you’re looking to upgrade your lighting, this could be the perfect opportunity. Stop by our lighting showroom at Amos Electric today to speak with one of our lighting experts!